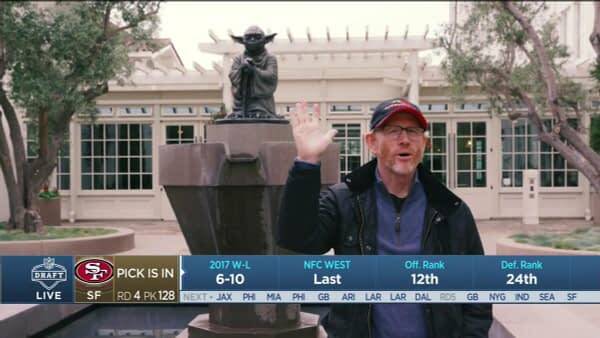 During the NFL draft this morning, when it was time for the San Francisco 49ers to select their pick in the 4th round, the network threw to Ron Howard at Lucas Films in Northern California. Howard of course is the director of the upcoming Solo film and he is standing by a Yoda fountain when he throws to R2-D2, Chewbacca, a couple Stormtroopers, the 49ers mascot and a young boy who doesn’t get named. The kid does a decent job in ‘hearing’ R2-D2 and presenting the pick… he might be able to give Alden Ehrenreich a run for his money acting wise. The pick is Kentavius Street, defensive end from North Carolina State. 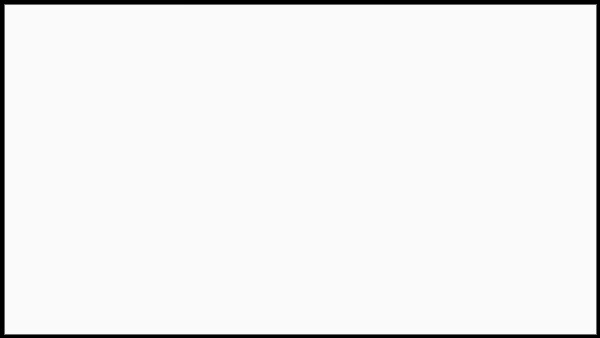 Street projects to be a back-up edge rusher and special teams player who was graded out at 16th in his position. He’s coming off of a knee injury last year that stunted his production. If he can return from the injury he could be a force on the outside for a young team trying to rebuild their empire. And those are the only Star Wars puns I have for this article.